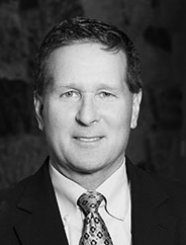 David Richards, CFP®, is a Senior Wealth Advisor for Generational Wealth Advisors. He holds the designation of CERTIFIED FINANCIAL PLANNER™ with more than 27 years of experience in investment management, product development, marketing and education in the financial services industry. David specializes in advising a range of clients including high net worth individuals, investment committees for endowments, foundations and pension plans, as well as working with companies to construct highly diversified, low-cost 401(k) retirement solutions for their employees. David works closely with clients to develop and coordinate the financial, investment, tax, and estate planning aspects of their lives. David has a Master in Business Administration from the University of Florida. He is a former member of the National Guard where he retired after 21 years as a C-130 Aircraft Commander. He is also a pilot with American Airlines having flown there for more than 29 years. David and his wife Melissa live in Frisco, Texas with their two children. He is very active in his local community and church. In his spare time David enjoys flying, golf and travel. Since 2010, our firm and its members have received recognition by various regional and national media. These awards are determined by a third party and in some cases by our peers in the finance industry. Additionally, we contribute as expert sources and writers in various areas of finance such as investment management and financial planning. Our firm’s members’ articles and quotes have appeared in publications such as Financial Planning magazine, USA Today, NASDAQ and in local news media.